I'm very excited to be running feng shui workshops for the CAE (Center of Adult Education) as part of their Summer Series in 2018 (see below). 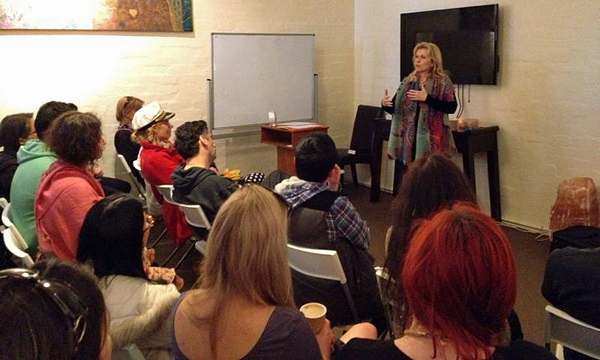 I'll also be running feng shui workshops in other locations throughout 2018. 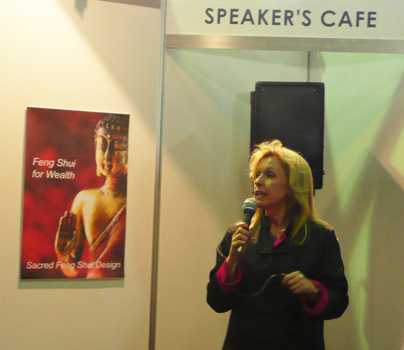 Subscribe to my Feng Shui Blog to be notified of future workshops. Organise a get together of 6 or more of your friends or colleagues, and I'm happy to run these workshops at your home or business. 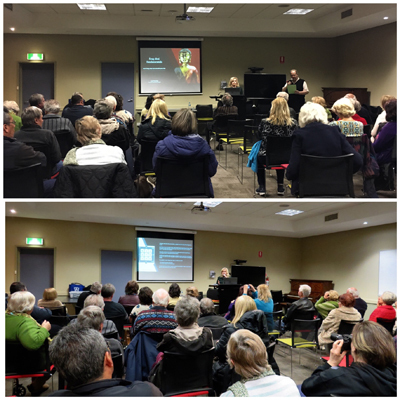 Location: Room 1, Hawthorn Library, 584 Glenferrie Road, Hawthorn (lots of free parking spaces on the premises at the back of the Library). 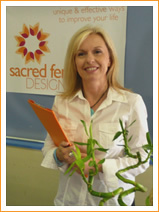 Ever been asked to create a feng shui garden or landscape design? In this 3 hour workshop you’ll learn how to design a garden based on feng shui principles and how to easily incorporate feng shui into your unique style. You’ll learn the importance of shapes, elements, colours, and chi flow. You’ll learn the Five Element Theory, Form, Compass and Flying Stars Feng Shui and how they can be applied to garden design. A valuable tool to add to your design toolkit. Please note: Chinese/Asian style objects or design are not mandatory to create a 'feng shui' garden. A feng shui garden can be created in any style or theme when you know the fundamentals of the ancient art and science of feng shui. Focusing on the 22 Major Arcana cards of the Tarot, you will discover each card describes a stage in the journey of the soul to wholeness. The tarot is also a wonderful divination tool which can be applied on the mundane and spiritual level to further your communications with spirit and help you on your journey in this life. Do you love feng shui? Do you find feng shui principles a bit confusing? Would you like to improve the feel and flow of your home and become a magnet for positive energy? Would you like to know more about feng shui? In this fun and informative workshop Carol will help you understand the ancient art of feng shui and how you can apply the principles to your own space with practical and easy ideas and advice. Bring a pen and notepad. To find out more about this workshop and to book your ticket visit CAE (Center of Adult Education). A talk on the significance of numbers in your birthdate. Learn how to read them and use them to enhance your life. Learn and to see and recognize the meanings behind the messages from spirit to help you on your journey. Unlock the sacred symbology in your home and breathe new energy into life. You will learn how to draw and read the feng shui chart of your own home or apartment and how to decorate each room to improve the feel and design, and attract prosperity, vitality, balance and love into your life. You will need to bring: A copy of the floor plan of your home or apartment on an A4 size page. The exact facing direction of your home. e.g. if your home faces North, does it face 10 degrees or 13 degrees North? Coloured pencils, pencil, ruler, eraser, notepad. This is a beginners to intermediate feng shui course. To book your ticket visit CAE (Center of Adult Education). Your home is a map filled with signs and symbology that reveal so much about you and your life. Using feng shui, numerology and divination, you will learn how to read the energetic map of your home and how to re-decorate your environment to improve the feel, attract positive energy and revitalise your life. 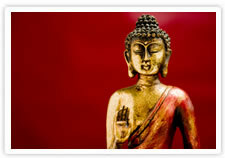 Feng shui – Form and Compass Feng Shui. 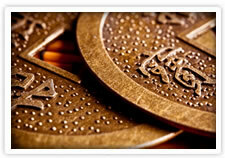 Divination to find out more information. The significance of numbers in your life. The floor plan of your home or apartment. Notepad, coloured pencils, erasers and pencils. Pendulum or your favourite pendant necklace. I believe an understanding of numerology is invaluable for everyone. The numbers in our birth date are a sacred signature that reveal your talents, strengths and weaknesses. You don’t need to spend years learning numerology to benefit from this wonderful tool, you’ll learn enough in this workshop to read people’s charts accurately and effectively. Just a few of the many uses of numerology. You can work out the compatibility of partners and friends for you and your children. As a parent, you can gain greater understanding of your children and how to help them. If you’re an employer, a career advisor or a human resources specialist you can quickly ascertain the strengths and weaknesses of your current and future employees and where they might be best suited and how to handle them, or find out which person is better suited to the job. Even though we think we know ourselves, understanding why we are like we are - good at somethings and not so good at others - can be liberating (stops you beating yourself up all the time for your perceived inadequacies). 1. The meanings of the numbers 1 to 9 and 0. 2. The meaning of multiple numbers. 3. The meaning of missing numbers. 4. How to draw up and interpret a grid or numerology chart. 5. The meaning of existing and missing lines of numbers. 6. The meaning of the Life Path number. 7. How to work out your Personal Year and what each year indicates. 9. Know thyself – what numbers you need to work with to make your life more harmonious. 11. Couple combinations and meanings. 12. And more time permitting. Important: Bring a large notepad, pen/pencils as there will be lots of interesting information and writing helps ground learning. Take the guesswork out of feng shui and learn how to draw up the feng shui of your home or apartment like a pro. Feng Shui can seem like a confusing and vague Asian science, but Carol will teach you how to accurately and easily assess the feng shui of your home or business so you can decorate your place to tap into better energy and improve the feel and design of your home. Compass Feng Shui - the Eight Sectors and how each sector relates to certain aspects of your life, people living in the home, organs, body parts, colours and element. The significance of Missing Sectors and what you can do about them. 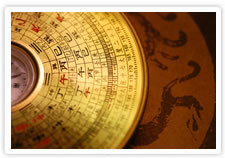 How to take an accurate compass reading and why it’s so important in Feng Shui. What environmental factors may create an inaccurate reading. The Five Element Theory and Feng Shui cures or remedies. Feng Shui design ideas and advice for every room inside your home. Feng Shui love and romance principles. Feng Shui and landscape design. 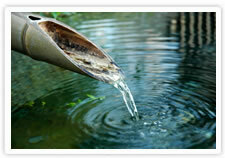 The significance of the external environment in Feng Shui. You will need to bring: A copy of the floor plan of your home or apartment on an A4 size page. The exact facing direction of your home. e.g. if your home faces North, does it face 10 degrees or 13 degrees North? Coloured pencils, ruler, eraser, notepad. 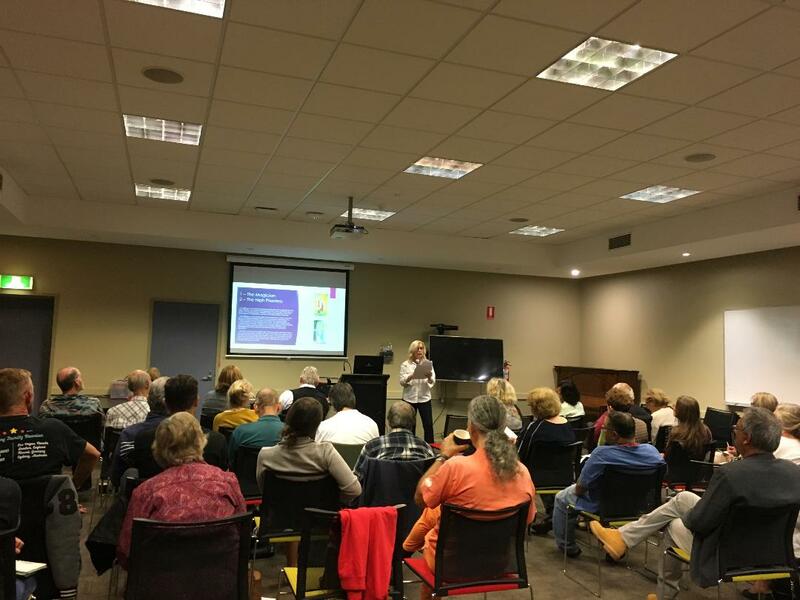 Feng Shui Fundamentals: 14th August, 2017, Kew Library. Feng Shui Living: 25th July, 2017 Qi Crystals. Feng Shui for Wealth and Career:18th July, 2017 Qi Crystals. Feng Shui for Love and Romance: 11th July, 2017 Qi Crystals. 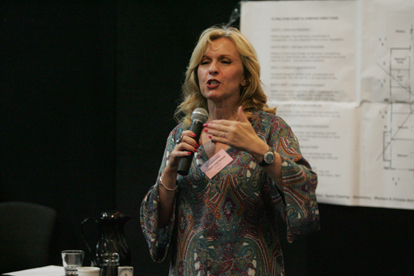 I gave two talks during the Mind Body Spirit Festival in Brisbane. Each day I had a lovely enthusiastic group of people! One talk was at 3.00-3.30pm on Saturday June 25th, and the second talk was on Sunday 12.00-12.30pm. The weather was superb in Brisbane - 20 degrees and sunny. Would you like Carol to speak at your next function on the fascinating subject of feng shui, space clearing, geomancy, or divination? Enquiries are welcome!